It's no secret that January blues are totally a thing, and can actually be quite common. Christmas was over in a flash, we over-ate/drank and now its finally hit us that we should probably join four gyms and stop spending cash like its going out of fashion. Reports state that today is one of the most depressing days of the year (to be honest, it has been pretty dull and rainy), so I thought I would share some of my little tips for how I like to perk myself up if I am feeling low. We are talking very simple things here - but hey, sometimes simple just works. Light a candle - This is something that I am finding myself doing more and more recently. I'm all for a little bit of mood lighting, but they also smell AMAZING so you can't really lose here. Stretch your legs - This sort of ties into the whole new years resolution thing, but I do think this is important. Being constantly sat at a desk or behind a computer can not only be draining on the mind but also for your body - which can sometimes lead to frustration and fatigue. I am trying to include a short stroll into my day, even if its on a break or a lunch - but it's better than nothing. Retail therapy - This is a biggie for me. Ok so it contradicts the "no-spending post christmas", but sometimes (always) you just have to treat yourself. For me, it's probably going to be clothes related (post coming soon on what I have my eye on at the moment) but this month it seems to be accessories for my camera (again - post coming soon on my camera essentials). You may just have some extra cash that was given to you as a Christmas present, but I think you're much more likely to find a deal in January rather than waiting. My motto is: if you would be sad if it went out of stock, buy it. Get a light box and have endless fun - So I have wanted a light box for some time now and finally got one for my birthday last month. I thought maybe the novelty might wear off after a while and I wouldn't know what to write on it - oh how wrong I could be! Not only does it provide the best light but I am finding myself changing the letters every other day! It really does brighten my mood (no pun intended...). These are just a few of my day-to-day pick me ups. 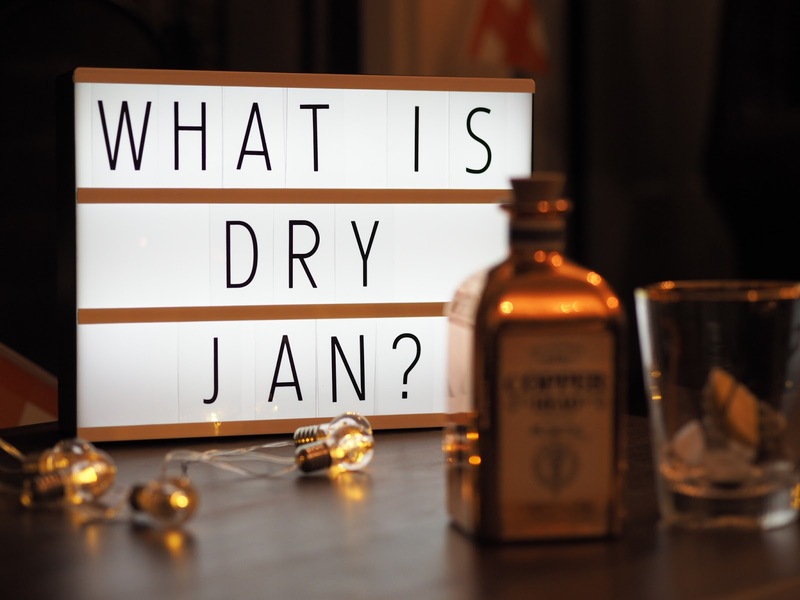 It may just be the simple fact that you are doing Dry Jan and it's harder than you first thought (hats off to those of you who are!) but sometimes you just need a boost. I have probably opted for the easy route on this one...January blues = January booze.